For the first step, we will show you the technique for the regular sewing machine. On all other steps, we will use a serger whenever it's possible. Sew with a straight stitch, 6 mm (1/4") from edge, stretching your fabric gently. Sew another straight stitch. Now you have a sturdy, stretchy center back seam! Back Elastics Upper Back Place the Upper Back pieces (F) as shown, with the notch towards the bottom to identify the correct location for the elastic. Pin the elastic (at both ends) and sew a first zigzag (medium-large), stretching the elastic so it lays against the flat fabric (do not stretch the fabric). Now that we have our pattern pieces traced/cut and altered, we are now ready to cut the fabric. Sweetheart Swimsuit (View A) We will be making view A in a feline print with a black contrast band in adult size S. We have all our fabric and supplies ready, along with our tablet with the PDF instructions. As you can see in the photo above, we decided to use bra straps for this one (with a kit purchased from Sew Sassy). As you can see, with the 60 cm (5/8 yard), you can actually make two swimsuits if you fold the fabric as shown in the picture. You fold it to have enough space for all your pieces and then measure to make sure your fabric is folded parallel to the selvage (the three orange lines are the same length). Whenever you see a minimum stretch requirement on one of our sewing patterns, it is very important that you measure your fabric stretch both in the length and in the width. Fabric stretch is not written on the fabric content label at the fabric store, but some online store now include it in the description. Now that you have your fabric, pattern and notions, let's talk about the sizing and pattern. SIZING First, take a look at our one-piece swimsuit measurement chart. There are many sizes in that chart, so you can be sure we have the perfect one for you! Forget about your ready-to-wear size or size you use in other patterns. Take your tape measure and measure (or have someone help you with that): Full bustWaist (smallest part)Hips (fullest part)Torso (center of your shoulder, over the fullest part of your bust, down between your legs and back up to the shoulder). If you are lucky, all measurements will fall in the same column (or only 1 size up/down, in which case go with the middle size). My measurements are all over the chart! What do I do? Find the size that corresponds to your bust measurement. 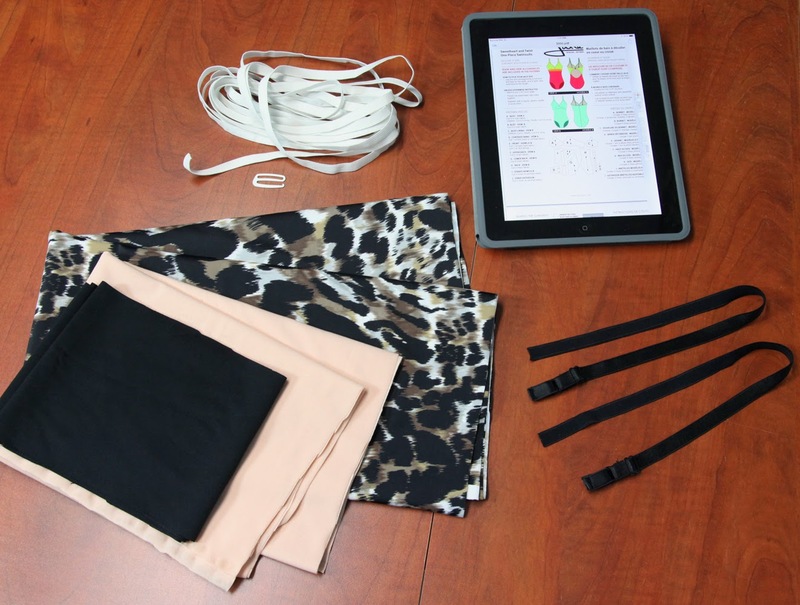 If your bust measurement is more than 2 sizes bigger or smaller than the waist/hips, use the bust to select the bust and contrast band pieces size and the waist/hips for the other pieces. Welcome to the 3350 Photo Tutorial! Starting next week, we soon show you how to make a stunning one-piece swimsuit from A to Z. Instead of doing a sew along that would last a few weeks, we want to post everything within a few days so you can finish this project quickly or take it slowly if you can only work on it a little bit every day. If you get stuck, post your question in the comments section and we will gladly help you. While we are getting ready for photos and sewing, I thought it would be a good idea to start with some useful information and inspiration photos so you can gather your supplies before we start posting tutorial photos next week. WHAT WE WILL BE MAKING We will show you in detail how to make a 3350 one-piece swimsuit. 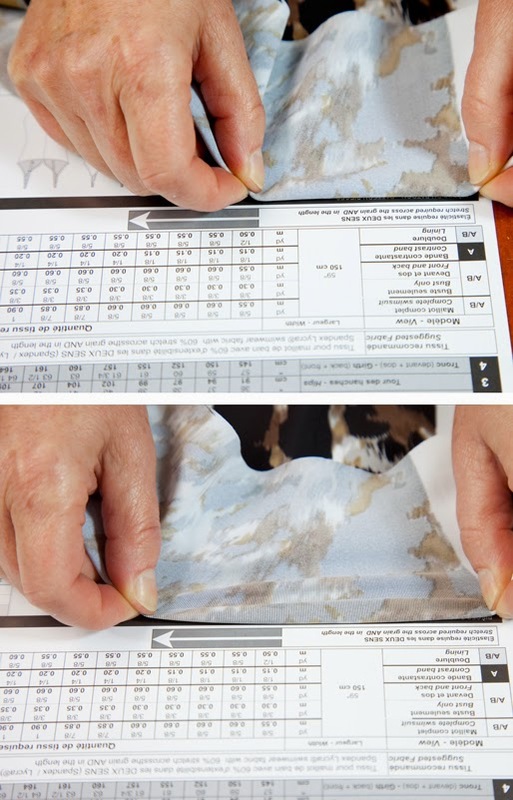 The pattern is available in both paper and PDF formats. This pattern includes 27 sizes (yes, all in one enveloppe!) and we worked very hard at adjusting the style (leg openings, cup coverage) so it fits beautifully, from toddlers to plus sizes.